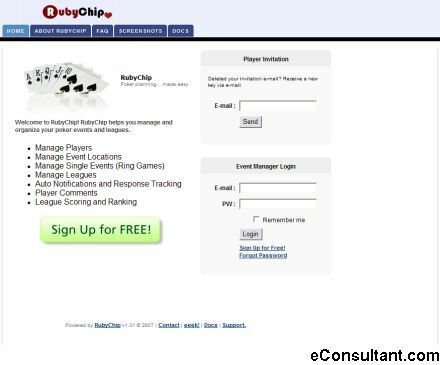 Description : RubyChip is the best in poker event and league management. Manage contacts, locations, leagues, events, points, track player responses, player comments, etc. Easy reporting with graphs for point distribution. Anyone running poker leagues professionally or for fun would find this a great tool.